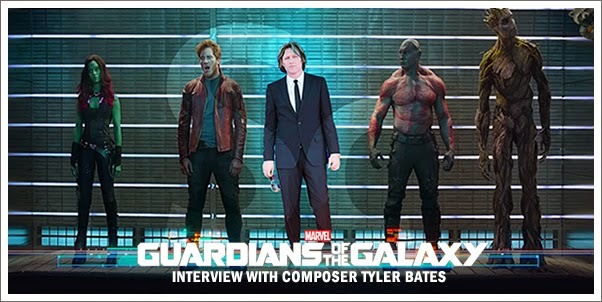 Composer Tyler Bates talks about the reaction he has been receiving for his latest project, about working on the score early enough for scenes to actually be filmed to, his special connection to Star Lord aka Peter Quill, and the piece of music that brought tears to his eyes while composing it. Christopher Coleman also asks him about any potential involvement in the recently announced sequel and animated series to debut on Disney XD. Buy the GUARDIANS OF THE GALAXY Deluxe Soundtrack at Amazon.